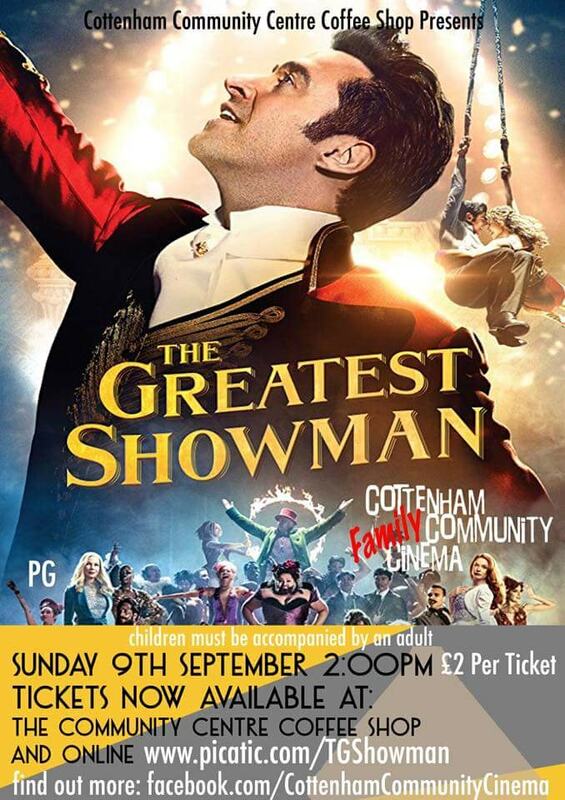 Sunday 9th September 2.00pm (doors 1.45) THE GREATEST SHOWMAN, Certificate PG, tickets £2, children & adults here. This will need to no introduction, so come and join us for good old fashioned musical and singalong, how can you resist. You don’t need kids to come and watch this instant classic. Hopefully see you in the coffee shop for Community Cinema on Sunday 9th September, doors open at 1.45pm, for a 2.00pm start.